My first meal on African soil wasn't anything to do with African food. Our host decided to temper our way into African meals, I guess, by taking us to food from a different continent. 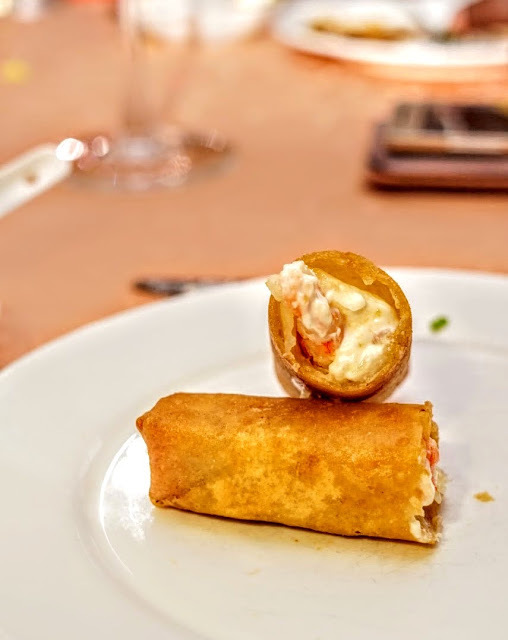 Apparently rated very highly by the locals and expats alike, Pearl Garden in Lagos introduced us to eating in Nigeria. 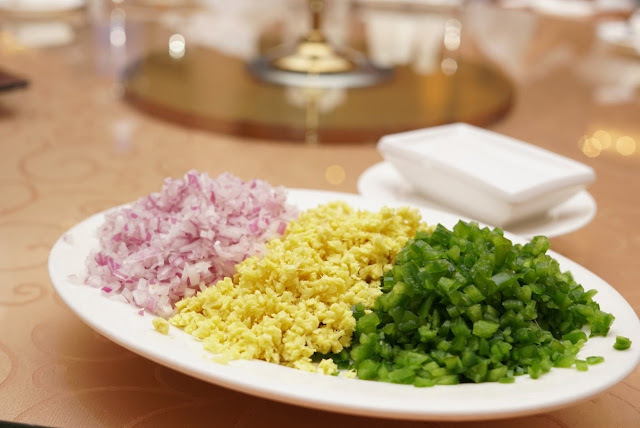 What they call the condiments, a large plate of shredded onions, ginger and capsicum first arrived to our large round table which also had a turn table. A small plate of fiery looking red paste was next to it. Obviously, I had no idea what to do with it. Our host sensing that we were going to dig into the fiery paste, quickly used his poise to tell us what to do with it. And, there is no way I would have guessed. This is a DIY sauce. You apparently put equal portions of ginger, capsicum and onions on the small bowl next to you, pour vinegar and soy sauce and add the fiery red chilly pepper paste and mix well to create you dip! This dip blended with everything that came throughout dinner. The prawn mayo roll was the first to arrive. Crisp. I mean crisp. Like fresh out of the heat, the rolls had a clean snap when your teeth dug in. From within the crispness pops the giant prawns smeared in Mayo. It needed no sauce, but dip it in the DIY sauce and you've got a completely different dish altogether. 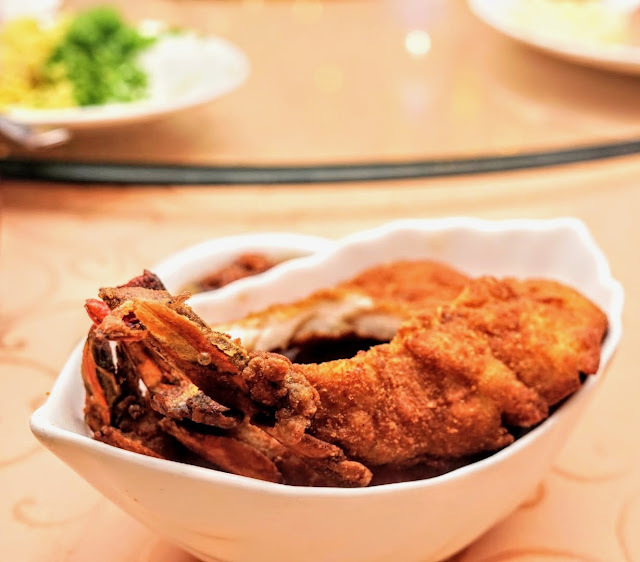 While the size of the prawns cannot really be appreciated in this dish, the batter fried prawns that came in next, left nothing for the imagination. The prawns in Nigerian restaurants, as I found out later, are huge. Our tiger prawns are the norm there. The butterfly prawns were huge and with one roll and half a butterfly of the prawns, I was starting to think this is going to be one heavy dinner. I wasn't wrong. To help wash it down, I was offered the non-alcoholic version of Chapman, a local Nigerian cocktail. 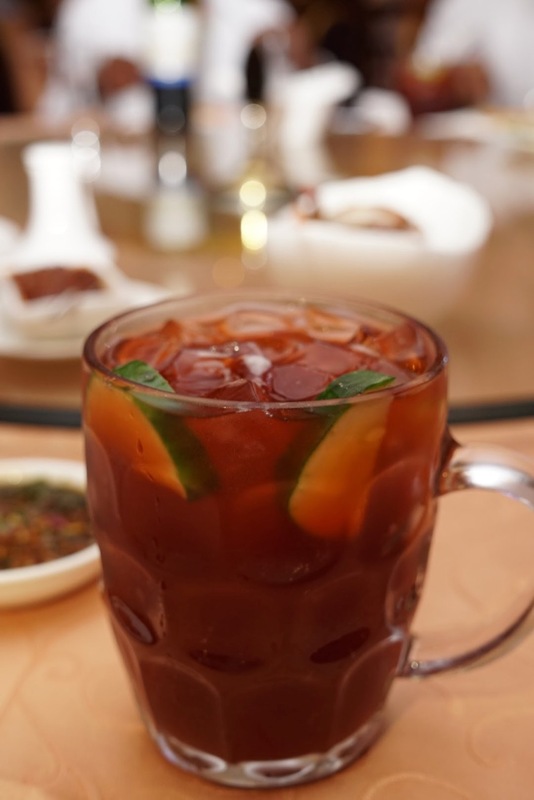 With sprite, fanta, orange juice, cut cucumber and a hint of slight bitterness from somewhere, it indeed helped wash down the heavy dinner. 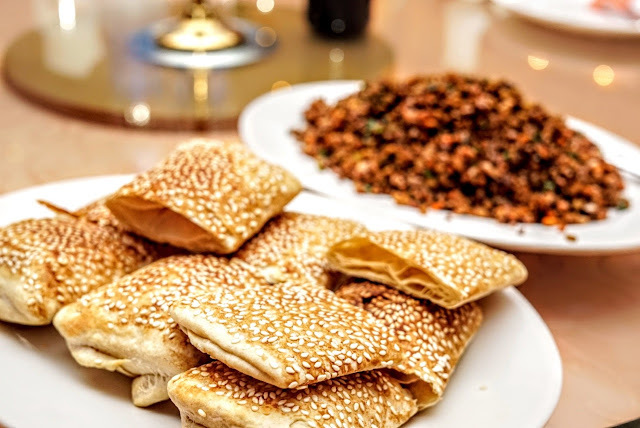 Sesame pockets was the next dish waiting to blow our taste buds. 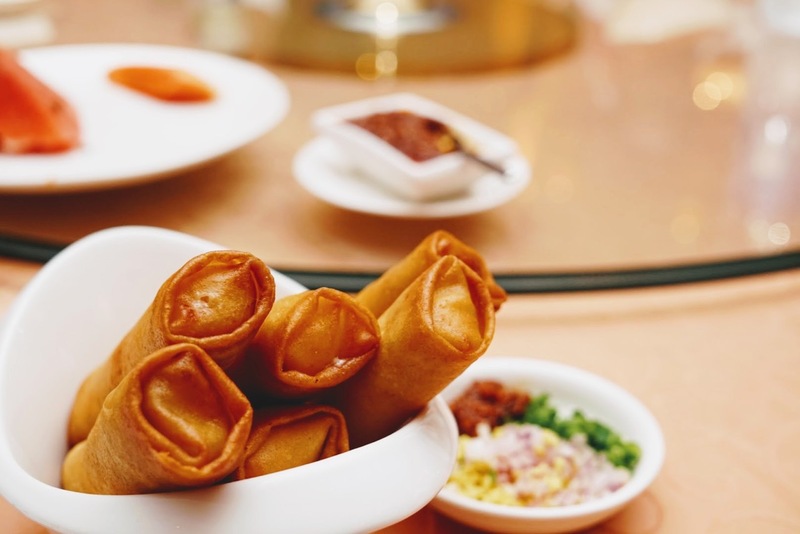 A simple looking vegetarian mix of filling was served with these pockets and a DIY dish presents itself in front of you. 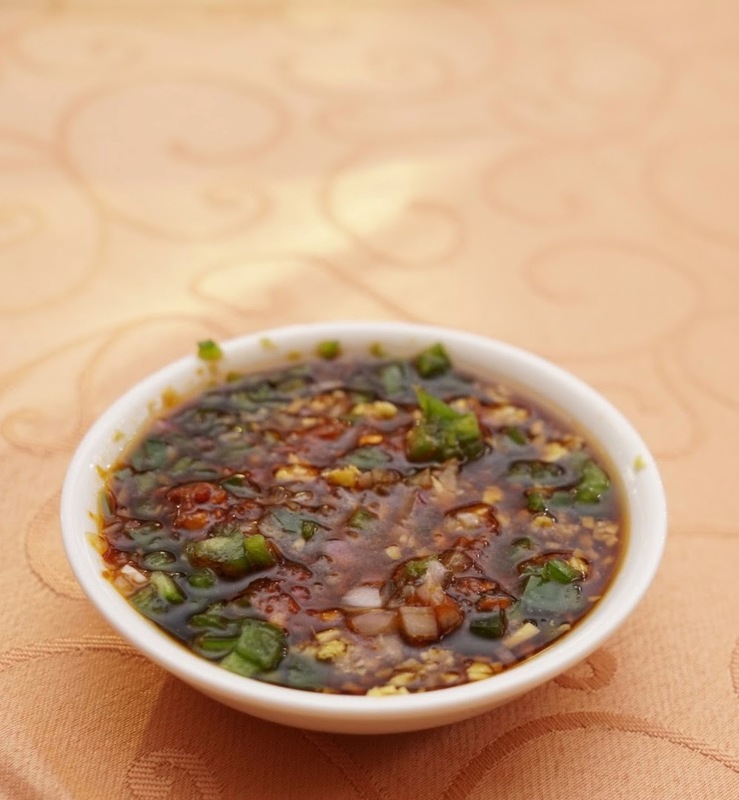 Lesser effort than the sauce, you simply stuff the filling in and let your tongue relish it. Warm and fresh, these pockets are like the pita of Nigeria and the filling was a simple and comforting one. Despite the forethought, I gulped down a few pockets. And then stared when the main course arrived. Wanting to keep space for dessert, I was negotiating space requirements between the internal organs when our host announced that Nigerians don't really eat dessert. Suddenly there seemed a lot of space available for noodles and gravy. 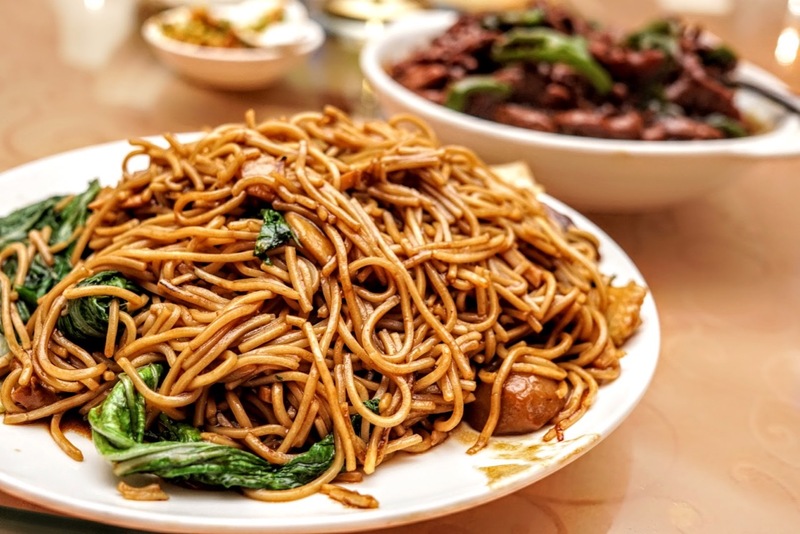 The long soft noodles with its hint of gravy already mixed in was easy on the throat and comforting on the palate with its simple Asian garlic flavour, but the broccoli beef was different ball game altogether. 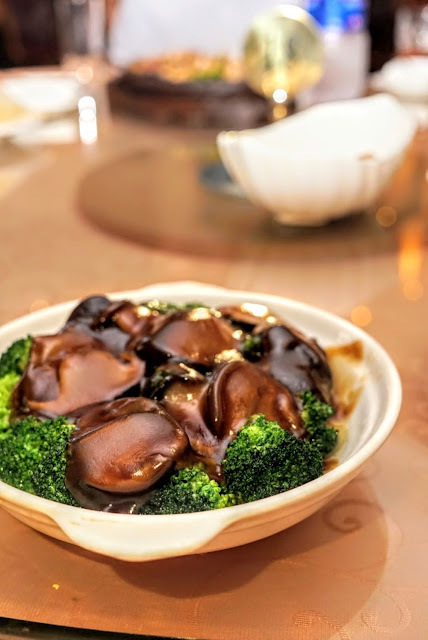 With a strong soy flavoured, brilliantly cooked beef and broccoli almost having no hint of the gravy, the fresh vegetable with the deeply cooked meat was a fantastic ally to the noodles. And the meal ended. Yup, no dessert. I got myself a little chocolate in my hotel to add the element of sweetness. Of course, there was space for that! Our host paid, so I don't know exactly how much the meal cost us, but from the menu, it appears that a meal for two will set you back by about NRN 15000, which is about INR 3750 ($ 60). Pearl Garden is in Victoria Island, Lagos, Nigeria.